All but four counties in Maine showed a population rise in 2017 over the previous year, with more people moving in contributing to most of the increases, according to local estimates released Thursday by the U.S. Census Bureau. Northern Maine counties, including Washington and Penobscot, grew by only a few hundred people, compared with bigger gains in York and Cumberland in the south. Despite modest numbers, that’s an improvement over last year, when northern counties saw population declines. Cumberland and York counties saw the biggest growth, with Cumberland up close to 1,600 people and York up 1,868 from 2016 to 2017. Penobscot County’s population rose by 442. Aroostook, Franklin, Piscataquis and Somerset counties saw slight population declines. From 2010 to 2017, only six counties gained population. From 2010 to 2017, for example, Aroostook County lost the most population, 5.9 percent of the 71,871 people it had in 2010. And Penobscot County lost 1.3 percent of its 153,920 population in 2010. Cumberland’s addition of 1,595 people from July 1, 2016 to July 1, 2017 was primarily due to 1,479 people entering the county. Penobscot County’s population, which includes Bangor and Brewer, rose to 151,957 in 2017, up 442 since 2016, but still down 1,884 since 2010. 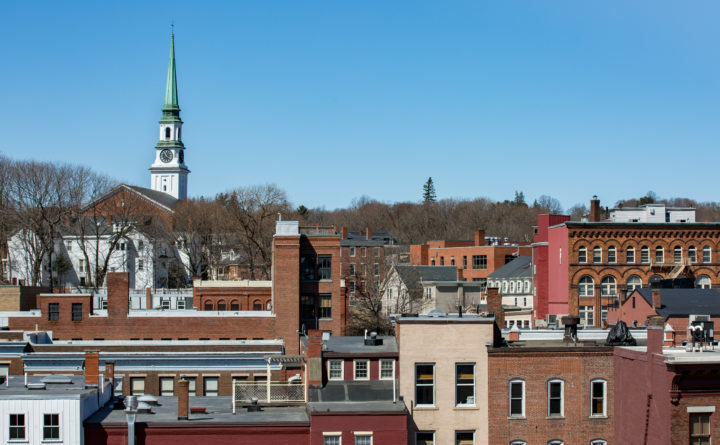 The population of Androscoggin County, which includes the Lewiston-Auburn metropolitan area, has stayed roughly the same since 2010, when it was 107,690. It added 382 people from 2016 to total 107,651 in 2017. Kennebec County’s population, which includes Augusta and Waterville, has declined slowly from 122,072 in 2010, but added 493 people from 2016 to total 121,821 last year. In New England, the Boston-Cambridge-Newton-New Hampshire area was the only local region among the top 10 most populous metropolitan areas, at 4.8 million people in 2017. The population rises in Maine are good news in light of another U.S. Census data release on March 13 that showed Maine is moving toward a dubious milestone in 2020, when residents 65 or older are expected to outnumber the young. That’s 15 years ahead of the national projected date of 2035. However, the census bureau noted that the nation as a whole is aging rapidly. BDN writer Darren Fishell prepared the interactive charts for this story. Follow BDN business and economy news on Twitter @BDNbiz. Correction: An earlier version of this report misstated the number of counties that saw a population decline from 2016 to 2017 in the latest census estimates. This report also previously misstated the population of Bangor. The Bangor Metropolitan Statistical Area, which includes all of Penobscot County, was 151,957 in 2017, according to the Census Bureau.